Friends, I’m launching my new book and am looking for 100 people to join my “street team”. You get great swag just by doing an honest book review. Here’s the details. 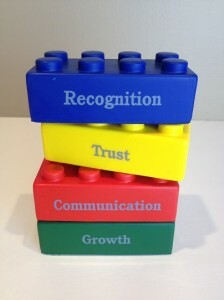 My new book, Employee Engagement for Everyone, shows how individuals can increase their own happiness and fulfillment at work by focusing on: Communication, Growth, Recognition and Trust. 5. A ticket to my Google Hangout “Ask Me Anything Tour” where we’ll discuss anything you want. Every day I get asked questions not just about leadership and engagement, but also on starting and selling companies, how to publish bestselling books, tips for writing, tips for being a professional speaker, how to succeed as a consultant and more. Anything is fair game and I’ll stay on the call until every question is answered! So what do you need to do to get all that cool stuff? It’s simple. 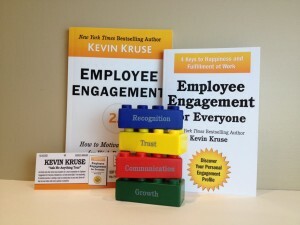 Just write a short, honest review of Employee Engagement for Everyone on Amazon.com by June 27, 2013. Doesn’t need to be long, just click some stars and write at least 20 words. That’s it. And I’m serious about honest reviews. If you think it deserves only 3 or 4 stars than that’s what you should click. Remember, only 100 team members will be chosen (sorry, North America residents only since we’re shipping physical goods). I look forward to launching with you!